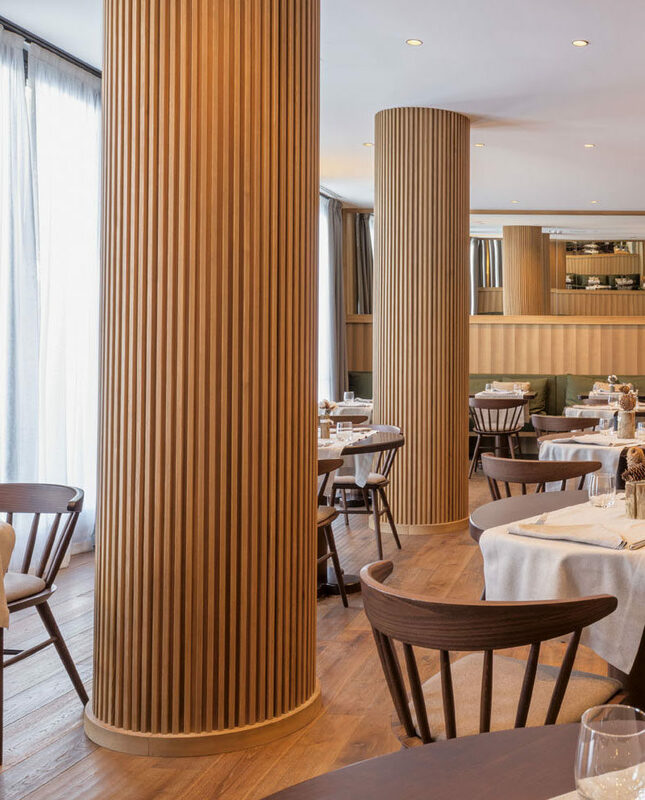 When architect Flaviano Capriotti was designing the renovation of the historic Faloria Mountain Spa Resort in Cortina, Italy, he decided to make the columns in the restaurant a design accent. Instead of leaving the columns as they were, he wrapped them in wood slats. 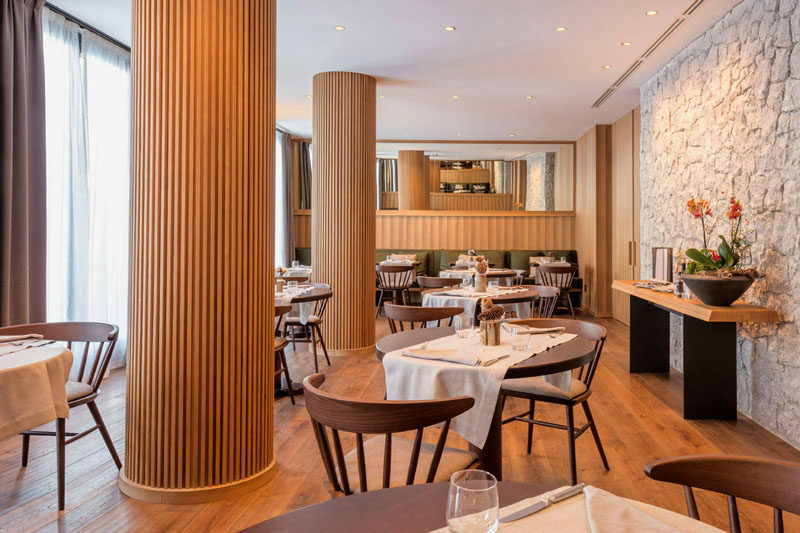 The vertical lines contribute to the illusion of height in the room, drawing the eye upwards, while the natural wood helps to warm up the space.